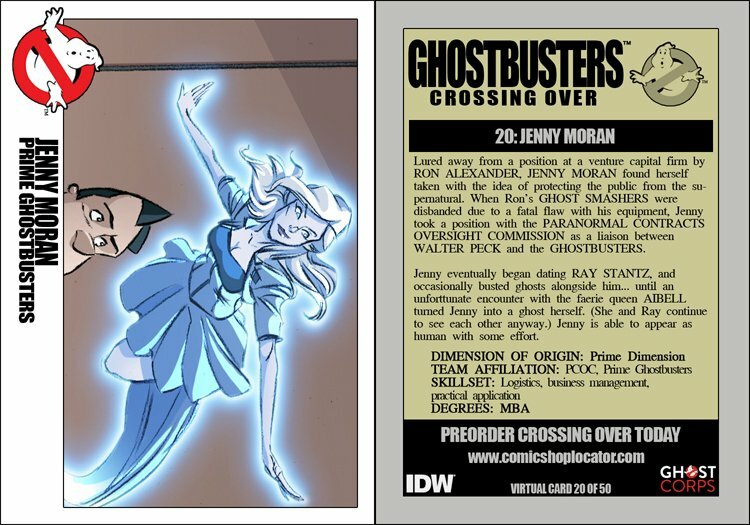 Jenny eventually began dating RAY STANTZ, and occasionally busted ghosts alongside him... until an unfortunate encounter with the faerie queen AIBELL turned Jenny into a ghost herself. (She and Ray continue to see each other anyway.) Jenny is able to appear as human with some effort.